“Ouch!” The sudden pain was not what I had expected. I quickly dropped my new find, and re-learnt an important lesson. If you don’t know what it is, it’s best not to touch it! In fact when it comes to wildlife, even if you do know what it is (unless you are an experienced handler) it's best to leave it alone altogether. Spines embedded in my thumb. Of course I normally live by that rule. But I guess I’d been having so much fun on my QuestaGame adventures of late that my curiosity got away from me. On this occasion I had been walking my dog, passing under a gum tree when I noticed what I thought was a rather large cocoon on the path (about 10cms long). After confirming it was empty, I had to take closer look. 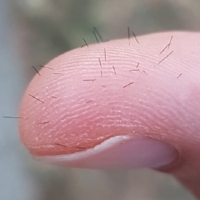 Immediately I felt the sharp pain of tiny hairs piercing the flesh of my thumb and forefinger. Realising my mistake, I quickly let go and came away with only superficial injury. It had me thinking though. 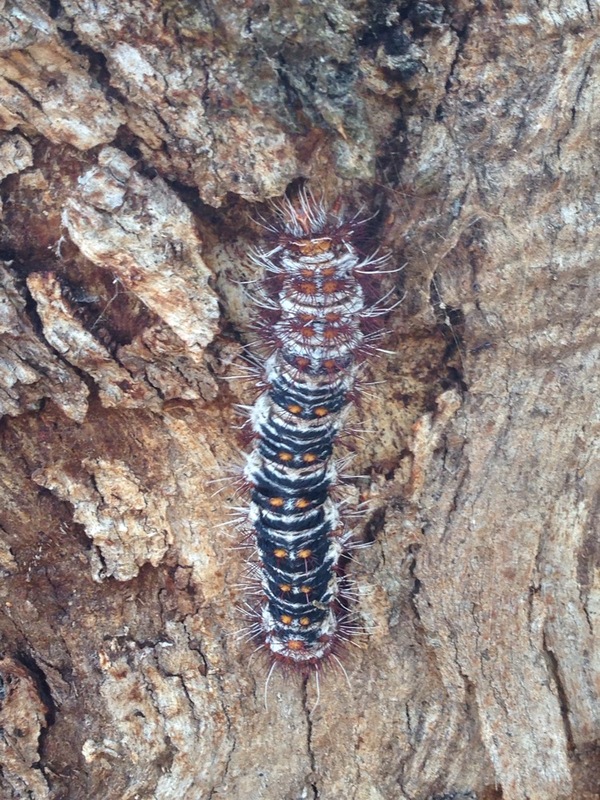 What beast of a caterpillar could be responsible? Caterpillar of the White Stemmed Gum Moth (Chelepteryx collesi). It just so happens that I recently ‘QuestaGamed’ a potential suspect quite close by. The caterpillar of the White Stemmed Gum Moth (Chelepteryx collesi) is quite a sight to behold. Reaching up to 12cm long, as thick as your thumb, and with gorgeous colouring. As everyone knows though, bright colours and hairs on a caterpillar pretty much means “Back off!”. If you don’t heed that warning, you may well find toxin laden spines embedded in your skin. These same spines are used by the caterpillar to defend its cocoon - and are what ended up in my thumb. I’m certainly not the only player to have encountered these beastly, yet beautiful, creatures. 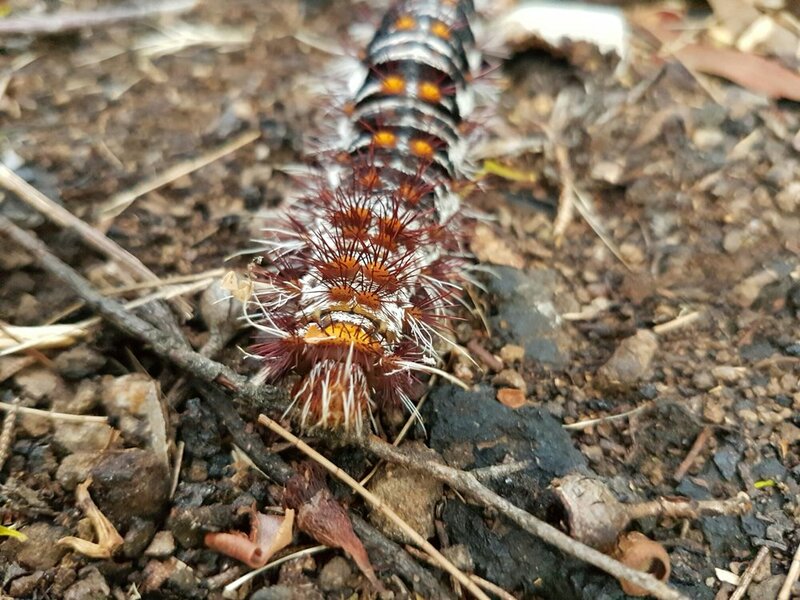 Take a look at these lovely caterpillar sightings from across Sydney and Canberra. 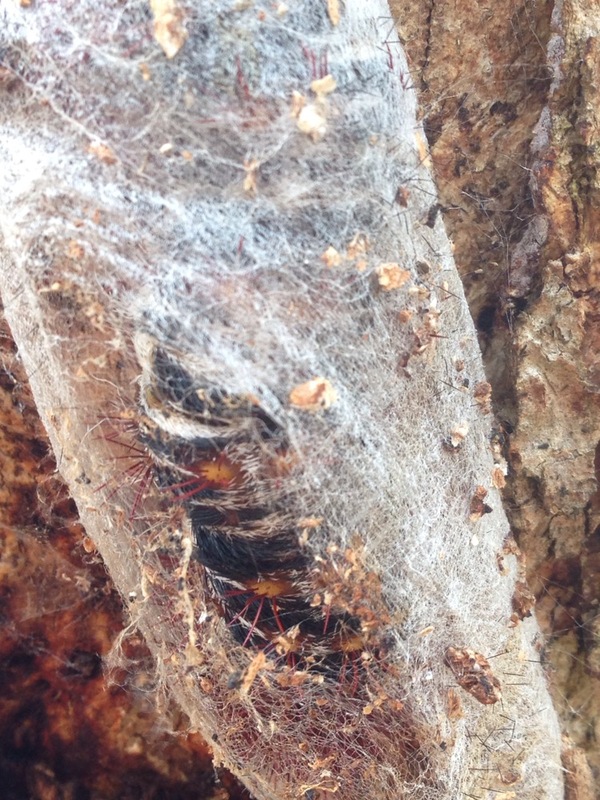 While I can cross the caterpillar, and its cocoon off my list, I’m yet to see an adult White Stemmed Gum Moth. However, it’s not hard to see why they sometimes go by the name Batwing Moth. These guys are massive - with a wingspan up to 16cms across! QuestaGame Player ‘Morag Miller’ was lucky enough to sight one in May 2016. While that’s the first one of these gorgeous adult moths in QG’s books, I have a feeling it won’t be the last. As Australia approaches Autumn, these guys are preparing to emerge from Brisbane down to Melbourne - so keep your eyes open!